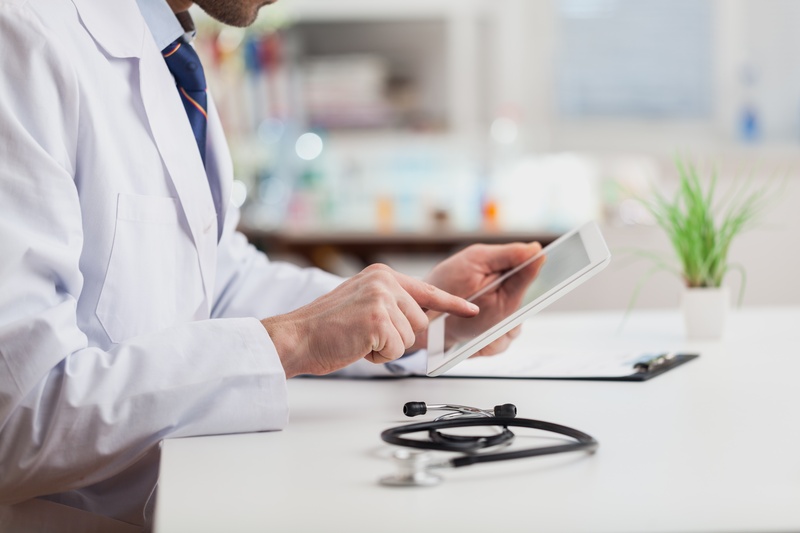 EHR implementation causes changes throughout an organization, and systems like CPOE and CDS are pivotal to the work that pharmacists and technicians do. If an implementation team doesn’t consider pharmacy’s perspective on system design and understand potential workflows pitfalls, the pharmacy team will have to work with ineffectively designed systems and procedures. To prevent this from happening, implementation teams must consider pharmacy concerns, and the leaders of pharmacy must make their presence and perspective apparent throughout the process. Pharmacy’s contributions to patient treatment in a collaborative care model and the department’s extensive experience with informatics give them uniquely valuable insights into EHR implementation. By participating in an IT project from the earliest stages, pharmacy personnel are able to ensure that their expertise helps guide the process in a way that aligns with their departmental goals. If pharmacy isn’t represented in the stakeholder group, then the concerns of other institutional functions will outweigh those of pharmacists and technicians. Clinician concerns about simplifying workflows and financial team concerns about loss of initial productivity may create circumstances in which CPOE and CDS (both highly dependent on EHR) produce less accurate medication orders due to a lack of pharmacy input. Many organizations have found that pharmacists are often an “integral” part of the decision-making process. Pharmacists play a key role in managing the flow of information throughout a hospital, and it’s valuable to emphasize this role when working with implementation teams. If pharmacy leaders are able to play a role in guiding the development of CPOE and CDS at their hospitals, they can work to ensure the new systems integrate well with existing infrastructure and advocate for designs that minimize adverse drug events (ADEs). Perhaps no team has more experience actually using CPOE and CDS than pharmacists. They may have entered tens of thousands of orders, so they can offer uniquely valuable insight into the intricacies and potential shortcomings of the system. Given that experience, they can often help create a more streamlined order entry process for providers. Because they understand how these systems may affect workflows and responsibilities, pharmacists can contextualize the importance of these tools to an EHR project. While clinicians may express frustration about workflow changes or excessive alerts in CDS tools, pharmacists see directly how errors in EHR, CPOE, and CDS lead to the wrong medications being prescribed, dosages being incorrect, and contraindications not being taken into account. With pharmacy input, the implementation team can make it easier for pharmaceutical data to be digitally transferred to EHR. This data aids in the process of clinicians ordering medication, and increases patient safety by guiding EHR, CPOE, and CDS in direction that will reduce errors. Compliance issues unique to the pharmacy are essential information to any EHR project. Because pharmacists come across patient safety or privacy concerns while doing their job, they may have valuable insight into how to incorporate these into EHR and related systems. Pharmacy can provide a template for increased interoperability and standardization as part of EHR implementation, such as Walgreen’s successes using Surescripts in the retail space to facilitate the easier delivery of immunization records to primary care providers. This process helped to make patient EHRs more complete. Ensuring Consistent Record Updating is a key priority for pharmacy departments. When clinicians don’t update electronic records with documentation about surgeries, changes in symptom lists, and the results from lab tests, etc. it makes it difficult for pharmacists to help coordinate care. The Future of Healthcare IT is likely to include major innovations in healthcare informatics will directly involve pharmacy. These range from more widespread use of automated dispensing machines and barcode administration to development of advanced robotics. These technologies directly integrate pharmacy functions with with EHR and HIS (healthcare information systems). In order for these integrations to be successful in the future, pharmacy should be involved in any IT-related rollout to ensure the project goals are aligned with future developments that may capitalize on the EHR foundation. Healthcare IS specializes in helping to identify and capitalize on resources to ensure that concerns from every department regarding EHR implementation projects are addressed. Ready to move forward with a Cerner optimization project? Download our Guide today to learn the secret for success.